Deck and fence restoration has always been a very profitable specialty for service contractors. It is not the purpose of this article to teach you how to do wood, however. I leave that to some well-established schools to help you fully understand techniques and pricing and other elements of the trade. My goal is to relate the reasons why we choose the products we do. I want readers to know what they are buying when they purchase a wood care product, whether that product is a cleaner, stripper, brightener, or sealer. Years ago, when I first got into the business, the work was a lot easier than it is now. In those days, most decks had never been cleaned or sealed, and in the words of one of the trade’s most vocal proponents (and a great friend of mine),Chris Detter, we could “ride in on our white horse and save the day.” We were all heroes to a lot of folks over the years. We used simple cleaners and brighteners and the majority of us who considered ourselves professionals sealed with oil-based products. Today things have changed quite a bit. As homeowners learned of the value and wisdom of cleaning and sealing wood decks and fences regularly, they tried to figure out how to save money by doing it themselves. As the “buzz” about the profitability of this service spread, more and more inexperienced jack-of-all-trades handymen jumped in and began offering the service, too. Folks lurked on industry bulletin boards to learn the secrets of the experienced professionals, and got advice from their local big box store on the process as well. The Internet spread lots of information – and some misinformation. As homeowners and handymen were starting to work with off-the-shelf cleaning and sealing products from those big box stores, a few big changes were on the horizon. The first major hit to the industry was the voluntary withdrawal of CCA lumber, the prevalent form of pressure-treated wood used to build about 80 percent of the decks across the country. New types of pressure treated lumber, beginning around 2002 and continuing through around 2004, were made using entirely different chemical treatments (primarily ACQ). This new lumber changed the nature of the wood, right down to the type of fasteners or nails that could be used. The impact on contractors included dealing with two different pressure-treated woods, sometimes right next door to each other. Some sealers responded differently to the new wood, forcing contractors to tweak their habits. The negative impression created by the withdrawal of CCA lumber invited new woods into the decking market that were seldom used prior to this time. Man-made composite lumber came into the marketplace like a bolt of thunder. Hardwoods from Brazil started to appear on high-end decks all over the country as well. Native hardwoods, like mahogany in the Northeast and redwood in the northwest, had always been popular, but gained dramatically in popularity when newspapers started running articles about the perceived danger of CCA pressure-treated lumber. Another big revolution in the industry came at about the same time as a result of concern by the EPA about ozone depletion. Regulations aimed at paint were applied to deck sealers, which turned the industry on its ear. Manufacturers scrambled to tweak their formulas to meet escalating demands for lower VOC’s (the portion of sealers that evaporates into the air after application). Some manufacturers had to change their formulas more than once to meet these demands over the years, which drove contractors crazy in the process. Sealers used last year were different this year, with changes in how they applied, looked, and held up. Some well-known major manufacturers even abandoned the manufacture of oil sealers altogether. With all these changes came an even greater need for education for contractors providing wood restoration services. Our regular go-to cleaning products didn’t work well with a lot of these new woods and composite lumber. Professionals lit up the Internet airing problems and possible solutions. 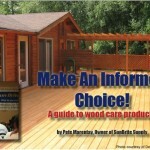 There was a huge increase in demand for educated or certified wood-care professionals, which was great for contractors. It also made more room for handymen and the DIY’ers, who were way behind the educational curve on these changes. The problems resulting from all the changes and the increase in untrained people doing the work tarnished the reputation of the trade to some degree, but serious contractors used this as a platform to set themselves apart from the jack-of-all-trades sort. 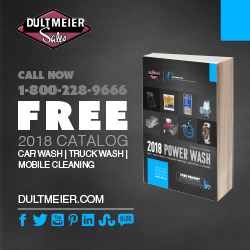 The rise in regulation by the EPA and the desire of people to be able to clean their tools at the end of the job with just a little soap and water led to a massive increase in the use of water-borne sealers over this period. Instead of a service contractor being able to easily identify any sealer on a deck, new brands and new formulas sprang up like dandelions in a field. Alongside our stalwart reliable brands of oil sealers, we began to see acrylics, silicones, epoxies and latex products. We also saw an increase in the use of alkyds, which are identified as oils but behave like a plastic or polyester coating on wood. The growth in the use of hardwoods compounded the issue. Coatings that gave excellent service on pressure-treated lumber really didn’t bond as well to these incredibly dense hardwoods. The trade had to learn a lot of what it already knew all over again. Suddenly it became important to really understand how each type of wood reacted with each type of cleaner and what pH every different sealer preferred on the surface of each wood in order to maximize the bond between them. Much of this had to be learned through trial and error as all of these changes came – one on top of the other. Together we learned there was nothing casual or easy about deck restoration any more. We quickly learned that the time to determine what you would use to clean or strip the wood is at the time you do the estimate. You must verify what you are facing on your first visit to the property, and you had to develop a complete plan of the best path for each job to get the results you wanted. You had to completely set the customer’s expectations before you gave them a price, too. Once you have given a customer a price, it is too late to go back and ask for more because you didn’t understand what you were looking at. In essence, the trade grew up. It became the norm to explain to your customer that, as their contractor, you would assume responsibility to take care of the deck with a plan to come back again and again to maintain what you did. Starting with the simplest projects, some choices are easy. If there’s no finish on a pressure-treated or softwood deck that has to be removed, most professionals select a percarbonate-based cleaner or a bleach-based cleaner. The percarbonate cleaners will kill mold, remove dead gray wood fibers, and leave the deck clean and ready to seal. More aggressive percarbonates are available with alkaline boosters that are used on wood decks and artificial lumber like Trex or TimberTech these days. A sodium hypochlorite-based cleaner (bleach with good low-foaming wood surfactants included) accomplishes the same things, but with some caveats. Bleach will work faster but remove the wood’s natural color. It introduces more risk of damage to the wood and to nearby landscape features. Hardwoods don’t like percarbonates, and sodium hydroxide mixes are the choice for those surfaces. If there is an existing finish on the wood, it sets up the two-fold challenge we face today as professionals – identifying the product used on the deck before and figuring out how to remove it. Ninety-five percent of all sealers have to be removed from the wood for one simple basic reason – sealers are designed to bond to wood, not to old coatings. Applying over a pre-existing coating does one of two things – it either begins to choke off the wood so it can’t breathe in and out, or it fails to bond well and peels or flakes or just washes off the surface over time. The first part of the challenge – identifying the existing finish – is difficult. We developed a couple of simple tools years ago that we still use today. The first thing we do once we understand that there is a finish on the wood is perform a “test patch.” We use a strong alkaline deck stripper (made with sodium hydroxide, a caustic or base chemical). We select a spot where the sealer is likely to be tough to strip, and we apply the stripper to it. If the sealer “moves” after five or ten minutes, we know this is an oil sealer and we can remove it easily and inexpensively. If the sealer does not “move” then we know we have something else – likely a water-borne sealer. The next test we do is an alcohol swipe to see if color will come off of the old sealer. If it does, we know we have an acrylic sealer. If no color comes off, we have something different on the deck that most smart contractors will simply walk away from. In this case, you could be looking at sanding the entire surface to get rid of the old coating. Once we have identified the product we need to strip, we can figure out what we need to get it off the wood. If the product is oil, a sodium hydroxide-based stripper will remove it. The stronger the sodium hydroxide content and the better the surfactants are in the formula, the better and faster the product will work. If the product is an acrylic product, a solvent-based stripper (frequently mixed with a strong sodium hydroxide stripper) will break through the finish eventually and you will likely be able to remove about 90 percent of the product with patience and a good formula. As sealers get stronger and tougher, so do the strippers meant to remove them. When it comes to selling deck strippers and brighteners, the big-box stores (who cater to the general public as well as to contractors) run headlong into their own attorneys about what to offer for sale. When a food giant like McDonald’s was sued because their coffee was too hot, lawyers everywhere began to question what their own companies were selling to the public. Strict limits on the strength of chemical cleaners were self-imposed. 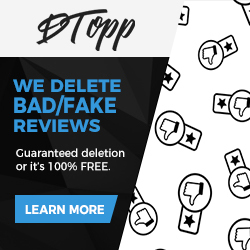 Specialty suppliers, however, continue to offer exceptionally strong products under the disclaimer that they sell these products only to seasoned professionals who know how to handle strong strippers. A look t any product’s MSDS reveals the concentration of sodium hydroxide in any caustic deck stripper, so finding out the strength of those products is pretty simple. The surfactants vary significantly, however, so a little trial and error of different products will tell you which ones work best for you. When selecting a solvent-based stripper, the same approach will work. It is not my place to tell you what brands to buy, but I do know that a performance guarantee by the manufacturer might be invaluable when choosing any deck stripper. If a good company stands behind their product, and replaces product that does not perform even though you follow the label instructions to the letter, this will have a major impact on the cost of doing a job. Once you have cleaned or stripped the deck, the next phase of the project is to brighten the wood. Brighteners are always acidic and may be made with a single acid – usually oxalic acid. Old-timers used to call oxalic acid “wood bleach” because of the effect it has on the tannins in the wood. A brightener will leave the natural color in the wood and drive the tannins down beneath the surface, leaving the wood looking as close to new as old boards can. Brighteners should be simple acids without any surfactants. More refined brighteners include a number of acids and buffers in different combinations. The primary purpose for using a blend of acids is better brightening power for many different kinds of wood. Using a combination of acids also reduces the user’s overall exposure to oxalic acid, which can be hazardous to the body in very large doses. I don’t mean to suggest that there is an imminent danger to your health from exposure to oxalic acid – particularly in the amounts and concentrations that wood restoration professionals are exposed to on a regular basis. I do wish to suggest that avoiding ingestion or inhaling of oxalic fumes and minimizing your exposure over time is generally considered to be a good idea. Using a blend of different acids that give you as good or better results is one good way to minimize your total exposure. Googling “health effects of oxalic acid” will give you a lot of information about this topic. In everything you read, you will find that casual exposure is not a problem. As a professional deck restoration contractor, you have an obligation to yourself and your employees to understand exactly what you are buying. Looking at most MSDS sheets for wood brighteners will reveal the oxalic acid’s strength. It may or may not reveal the other acids used in the mix if the product is a blend, and even if it identifies one or more other acids it may not reflect the overall strength of those acids unless they represent some form of health risk. Other acids used include phosphoric acid, citric acid, and similar products. Once the deck is brightened (following all label instructions for your product of choice) the next step is to apply sealer. Most professionals still believe that using an oil-based sealer is best for the wood. Adding oil to wood has been a natural way to protect wood for thousands of years. Oils may be derived from crude oil (paraffinic oil) or from plants (linseed oil and others). Oils may be described as drying oils or non-drying oils or “long” oils or “short” oils, but the bottom line is that any oil used for sealing or protecting wood is derived either from crude or from plants. Most oil sealers have several things in common, but they also have stark differences. They all replenish the natural moisture in wood and preserve the wood. 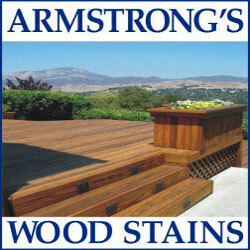 One of the primary differences is that plant-based oil dries on the top of the wood, forming a film or coating. Crude-based oil tends to penetrate the wood and leave nothing on the surface. Professionals select oils because they are good for the wood and because they are good for the contractor. They are relatively inexpensive, and can be easily stripped off with an alkaline deck stripper – making it possible for a customer to have a different finish or color at any time. They are easy to maintain, and some may even be re-applied without stripping the old layer off. DIY’ers and the jack-of-all-trades guy often opt for water-borne finishes because they are easy to buy, relatively inexpensive, easy to clean up (the tools) after an application, and because of the tremendous marketing efforts of manufacturers to reach the public at large. Water-borne sealers, on the other hand, represent a nightmare when they have to be removed for regular deck maintenance. All that said, water-borne acrylic sealers may be entirely appropriate for some situations. I recommend acrylic sealer when the wood you are caring for is over a lake, stream, or river for example. A water-borne sealer won’t ever cause a fish-kill if spilled into a waterway. That is important for customer relations and ecological reasons. The drawback of using an acrylic sealer is that a few years down the road that acrylic finish will crack and flake off. When this happens, there is little you can do except to blast off what is loose and re-coat the wood. The Army Corps of Engineers, which controls most of the waters in the southeast where I live, insists that wood docks can only be cleaned with clear water. Their favorite saying is “water in, water out” when referring to pressure washing docks. If you are forced to clean wood without the aid of a wood detergent (stripper), you will naturally end up using high pressure and you will damage the surface of the wood with that amount of pressure. Applying an acrylic coating after a brutal cleaning method like that will at least mend the surface a bit and make it smooth enough to walk on with bare feet. As negative as this process sounds, most dock owners expect to replace dock boards a few times over the life of a dock, and using any sealer – even an acrylic – will extend the life of the wood by years. Many contractors opt to use acrylic sealers on Ipé and other Brazilian hardwoods because penetrating oil sealers must be re-applied about every six months to work properly. I don’t like using those coatings because they tend to scratch and show wear over time. I prefer to use an oil, and prefer to sell my customer on a regular service where the deck is renewed and beautified every six months. As always, there are many different ways to make the customer happy, and we all have our preferences. No one is right and no one is wrong when talking about hardwoods. No sealer is perfect for them. In the end, we are all in business to make a profit. Some people believe that the most profitable way to operate is to save as much as they can by buying the cheapest cleaners and sealers. As a veteran, I can tell you that quality products do a better, faster job. Getting off the job in less time puts more green in your wallet than the savings you might see on cheaper cleaners. Sealers are much the same, since the sealer you use becomes the identity of the company you operate. If you want to command quality prices, you must use quality materials. Using the same products every time is how a contractor becomes a professional. If a contractor changes products every day according to what the customer asks that contractor to apply, then the customer is in the role of expert and the contractor is simply labor. This leads to getting less money – not more – for any job. Similarly, using a product from a big box store may be convenient, but it doesn’t separate you from the pack. If you use the same product as the next guy, the customer will believe the only difference between the two contractors is price.